Stateside's conversation with Ashley Johnson, director of Detroit College Access Network. 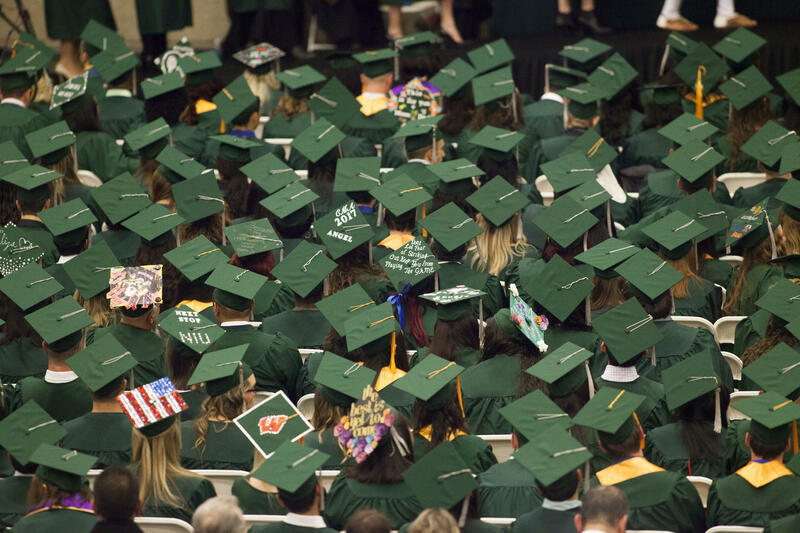 Students at a college graduation. The Detroit College Access Network (DCAN) is a network of cross-sectional organizations that helps coordinate and build collaborative efforts between educational stakeholders that aim to boost graduation rates, college enrollment, and college graduation rates. Ashley Johnson is the director of the Detroit College Access Network. She joined Stateside to discuss the efforts and goals of the network. CORRECTION: The original post stated that the Detroit College Access Network is currently affiliated with Excellent Schools Detroit. In July, DCAN shifted from being affiliated with Excellent Schools Detroit to the Detroit Regional Chamber. We regret the error. Enrollment in Detroit Public Schools Community District is up for the first time in 15 years. The recent fall count is 50,100 students, up ten percent from last year's 45,500. 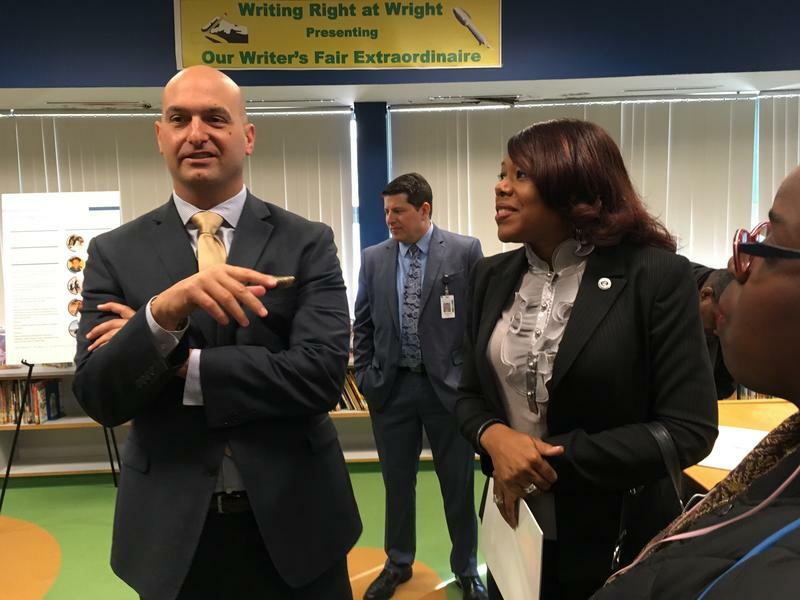 According to Superintendent Nikolai Vitti, this year saw the lowest departure of students to charter schools in four years, with fewer students leaving for surrounding districts and more returning. Vitti said enrollment is one of the most important indicators of the health of a school district. Helping underserved young people embrace education, get into college and go on to be world-class citizens is the mission of a program called FATE. It's operated as part of the cause-based clothing company Merit Goodness. Give Merit Executive Director Kuhu Saha and 2016 FATE graduate Asha Stewart joined Stateside to share how FATE provides a space where students can create aspirations.